(१ )प्लेग :साल २०१७ में अमरीका में इसके १६ मामले दर्ज़ हुए थे -जबकि युनाइटिड किंडम (U.K)में स्कर्वी और स्कारलेट फीवर के मामले बढ़े रहे हैं . (CNN) This year, the United States has recorded 16 cases of plague, while recent figures have revealed that in the UK, cases of "19th-century" diseases such as scurvy and scarlet fever are on the rise. Go to CNN.com/unseenenemy for more stories and resources about epidemics, pandemics and the CNN Films documentary, "Unseen Enemy." Here are some often-forgotten diseases that still exist -- despite our best efforts to control them. 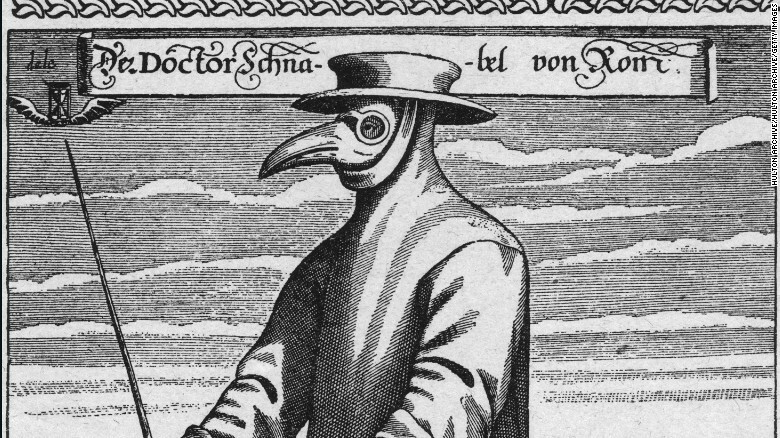 Circa 1656, a plague doctor in protective clothing. But the disease persists elsewhere. The WHO reports 1,000 to 3,000 global cases of plague every year. Africa, South America and Asia have the greatest number of cases -- particularly Madagascar, Peru and India. Read: How do we still have plague? 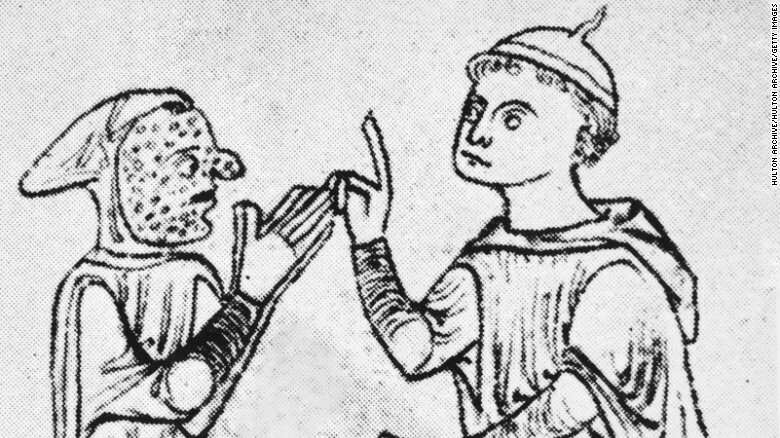 Circa 1200, a leper covered in sores approaches a man, making a gesture of supplication. The number of global leprosy cases has dropped significantly in the last 30 years, from 5.2 million in 1985 -- but there were still 216,000 cases in 2013. The disease is still a problem in parts of India, Brazil and Indonesia where more than 80% of cases occur. 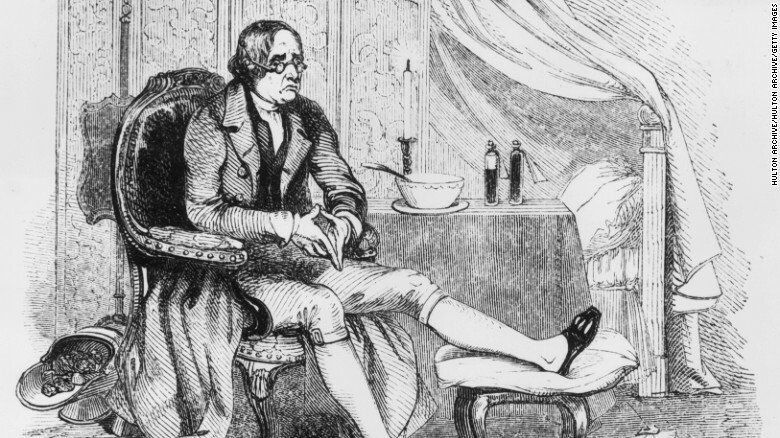 Circa 1800, a man rests his foot, with his slipper slit to accommodate a foot swollen from gout. Gout is a type of arthritis caused by the build up of uric acid or urates -- a natural by-product of digestion -- inside joints. This can lead to pain, swelling and redness. First identified by the Egyptians, Gout was once known as the "disease of kings" because of its links to excessive food and alcohol consumption. Unhealthy lifestyles and obesity have caused dramatic increases of gout in developed countries, with the condition now affecting an estimated 8.3 million North Americans -- nearly 4% of the adult population -- according to one study. The prevalence of gout varies significantly around the world -- at 4.75% Greece has the highest rate in Europe, according to a 2010 study.